Directions: Essex Street, Right Or Left Onto Lakeshore Avenue. 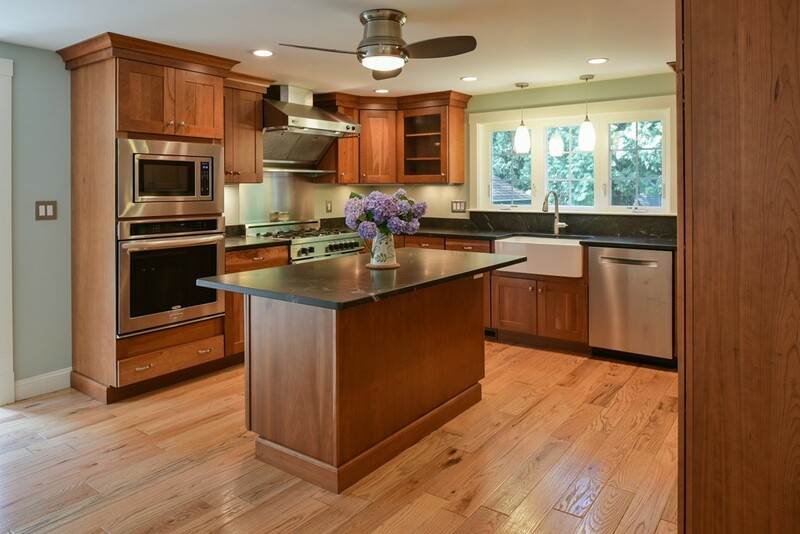 Do you wish to live in desirable Montserrat, Beverly, MA? Would you like a 3 minute walk to the Montserrat T stop. Do you want to be close to Beverly Cove and have only a short drive to Rte 128? Have you been dreaming of cooking in a 4 year old custom kitchen that would put a smile on any chefs face? Shaker/Schrock Maple Cabinets with matte marble counters and Island, separate convection oven, impressive 5-burner Bertazzoni stove and motion sensor faucet in large farmers sink. 48 Lakeshore Avenue is an, 8 room, 3-4 bedroom Garrison Colonial that has it all. Open floor plan, living room with fireplace, hand scraped oak/wide plank board, master bedroom, master bathroom, Central a/c, unattached garage, 20 x 12 deck, patio and wonderfully landscaped grounds. Disclosures Sump pump & french drain in basement.